1. Risk is something that God embraces. He risked everything to save humanity. It is risky to put the greatest mission into the hands of imperfect people. We need to run after God’s risk-taking heart in our own lives. The Church is at its best when it is running after God and chasing down people who do not yet believe. 2. Status Quo is the anti-risk. 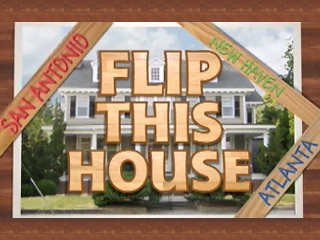 In “Flip This House,” developers are never going to return a house they invested in back to the market without improving on it in key ways to increase their profit potential. In the same as Christian leaders, we will never see the profit potential of a community unless something is risked in order to gain that profit in lives bettered. Status quo never gains momentum. Status quo never increases profit potential. Albert Einstein defined insanity as, “Doing the same things over and over again and expecting a different result.” Many of us are insane by that definition. 3. “Flippers” are always looking for their next challenge. As a Christian leader I can either take risks and know that I have given my best to God, stepping out in faith, letting God drive the bus that is this community of faith, or I can sit back, never rock the boat, and collect a paycheck. A paycheck collector never moves people to next steps and the Church never becomes the bride of Christ. “The greater the risk, the greater the reward.” The reward isn’t mine, but it belongs to the one I serve and I will not bury my talent in the ground. ← Mt. of Transfiguration – Part 2?